Marenco Lodge is located 2 miles south of Drake Bay in the heart of the Punta Río Claro National Wildlife Refuge, part of Costa Rica's gorgeous Osa Peninsula. Situated in the southern reaches of Puntarenas province, the Osa Peninsula is one of the most important natural areas in all of the neo-tropics. With its immense biodiversity and intact primary rainforest, the peninsula is a magnet for bird watchers, wildlife enthusiasts, and outdoor adventurers. 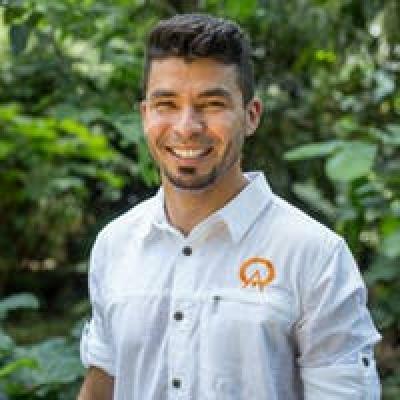 In 1997, Costa Rican officials created the Punta Río Claro National Wildlife Refuge, declaring the 1,500 acres surrounding the Marenco Lodge a protected area. 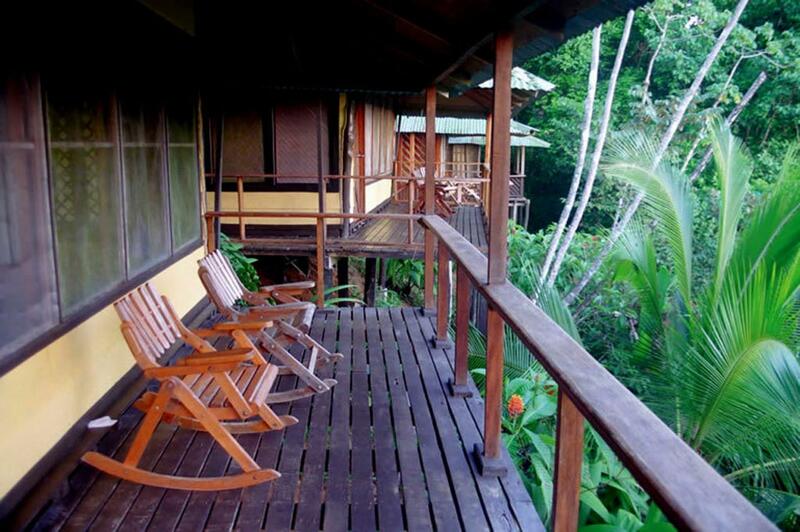 With close proximity to Corcovado National Park, the refuge has a very fortunate location. A trip here provides visitors with access to kayaking, diving, hiking, rappelling, and snorkeling. Frequently spotted wildlife includes spider and howler monkey, sloth, Baird's tapir, and anteater. Furthermore, Drake Bay has wonderful sport fishing, as well as a string of beaches with good surf and a pleasant vibe. Marenco Lodge has one of the best locations on the Pacific side of the Osa Peninsula. Perched atop a hillside that affords sweeping views of the Pacific Ocean, the lodge is an ideal place for those seeking a remote jungle experience. A deserted beach is easily accessible, offering guests a variety of scenic coves and tide-pools to explore. Accommodations at Marenco Lodge consist of simple and comfortable cabanas. All of the structures are set atop a lushly gardened ridge, and come with private balconies and panoramic views of the Pacific Ocean. The balconies are fully screened, and come with chairs and hammocks. The cabins are fairly basic, with mosquito netting in lieu of walls and thatched roofs. Each room comes with a private bathroom and shower. There are curtains that can be pulled down to provide privacy and additional mosquito nets that cover the beds. Keeping with the natural harmony of the area, there is electricity only for a few hours in the evening and no hot water. Because of the lodge's remote location, it is all-inclusive, providing all transportation and meals for its guests. The rancho-style restaurant has communal tables and serves up large portions of typical tico food, local beers, and other refreshments. "What a great adventure. So different from American standards that it is hard to rate. The staff was wonderful, accomodating, they worked so hard to make it a "Paradise" stay. The cabin was kept clean and bug free. I really enjoyed the sound of the Pacific right outside my screened cabin. The sunsets from the veranda were priceless. The beach was a short walk from our cabin too - although the walk up from the beach, you had to be in good shape for. Great tour people from this lodge." What a great adventure. So different from American standards that it is hard to rate. The staff was wonderful, accomodating, they worked so hard to make it a "Paradise" stay. The cabin was kept clean and bug free. I really enjoyed the sound of the Pacific right outside my screened cabin. The sunsets from the veranda were priceless. The beach was a short walk from our cabin too - although the walk up from the beach, you had to be in good shape for. Great tour people from this lodge.